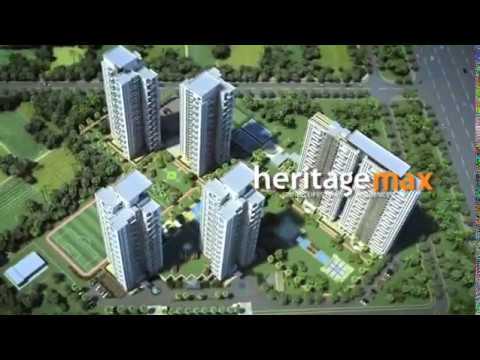 Heritage Max is a Ready to Move in Sports Lifestyle oriented Luxury residential project on Dwarka Expressway, Sector 102, Gurgaon, being delivered by Conscient Infrastructure. It offers 3BHK+SERVANT, 3BHK+SERVANT+SYUDY & 4BHK+SERVANT apartments with state of art amenities and facilities. It has 6 (six) high rise towers with a mix of both park facing and city facing views. Heritage Max offers an exclusive lifestyle that fills the gap between luxury living and healthy living. Come and experience world-class sports facilities from the comfort of your apartment. The major focus of the project is on Sports Amenities and promotes the sportsman in you, Heritage Max ensures you 360-degree premium lifestyle. This residential condominium boast of ultramodern architecture based on luxury. 1931 - 2860 Sq. Ft.
1.08 Cr to 1.12 Cr. 1.12 Cr to 1.15 Cr. 1.22 Cr to 1.25 Cr. 1.26 Cr to 1.30 Cr. 1.55 Cr. To 1.60 Cr. 1.75 Cr. To 1.80 Cr. Most readily approachable and 25 minutes’ drive from IGI Airport. Three high street retail malls with multiplex – 100 – 300 metres. 100 Acre Park has been sanctioned in the same sector 102. Sultanpur Bird Sanctuary – 7 km. Kundli Manesar Palwal Highway – 11 Km. Fully Air-Conditioned Living/Dining hall with imported marble flooring and POP done over the walls and the ceiling with Acrylic Emulsion paint. Doors made of moulded/flush door shutters with paint/polish, external doors of UPVC/Aluminum. Windows of UPVC/Aluminum frames and shutters. Bedroom fitted with split AC, Plaster of Paris walls and ceiling painted with acrylic emulsion paint. Complete wooden laminated flooring, Doors made of moulded/flush door shutters with paint/polish, external doors of UPVC/Aluminum. Modular kitchen with hob and chimney, floor/counters/walls featuring combination of Granite, Marble and vitrified Tiles. Single Bowl Stainless steel sinks with Drain-board. Walls/Ceiling painted in weatherproof paint and floors fitted with Anti-Skid tiles. Walls with a blend of Ceramic and Vitrified tiles, ceiling in Acrylic Emulsion paint. Chinaware and Single lever C.P. Fittings. Wash basin in matching shades and colours. Air-conditional Club with multiple facilities - Banquet Hall with Cafe, Multi Game Court (Indoor Badminton Court/Indoor Basketball Court/Indoor Volleyball Court), Squash Courts Gymnasium, Pool Table, Outdoor Basketball Courts, Tennis Courts, Swimming Pool, Grand Entrance Court, Floodlit Football Field, Sports Arena, Roof Garden, Cycling Track, Jogging Track and Kids Play Area Beautifully landscaped gardens with Fountains, Meditation Courts, Amphitheatre, Cabanas and Pavilions Central Courtyard, Fountain Pavilion and Convenience Shops 24 hours Full Power-backup electrical with concealed copper wiring and modular plate switches High-speed passenger lift in each block. Life lobby fitted with imported vitrified tiles and marbles Grand Entrance Lift Lobby (ground Floor) Well-appointed Air Conditioned Entrance Lobby. Content provided by Synergy Real Estate Advisory. Info Edge (India) Ltd. disclaims all warranties against infringement.